animus wrote: But that would also mean that stone salt and sea salt aren't that much better. Magnesium (right) might be an exception. I would hate to leave all those good seeds out of my daily muesli. Have you considered potassium chloride or pan salt (at least in this country goes with that name). No, so far I haven't. Never even heard of pansalt before. Seeing that it is imported from Finland I guess it's wide known in your country, no? Probably just a matter of time until the word spreads. Everything is better than the usual refined tablesalt. There is always a hype of certain "superfoods" from abroad that need to be marketed and are therefore mentioned in every known health site or blog around the internet. Each season the same theme, just a different fruit, vegetable, oil or whatever. Maybe next time it's pansalt's turn My diet is much healthier than a few years ago but I can't help but notice that I have been a victim of marketing just as much as any fast foodie. animus wrote: Never even heard of pansalt before. Seeing that it is imported from Finland I guess it's wide known in your country, no? Probably just a matter of time until the word spreads. 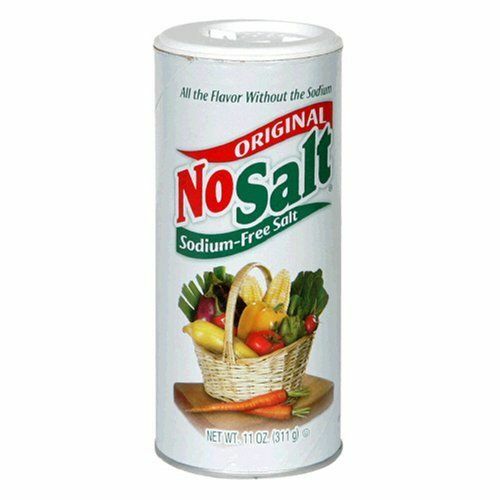 Here in the United States it's called "No Salt" salt (sodium-free salt) distributed by French's Foods. I use it all the time. It can be found in the seasonings section of most stores. animus wrote: Seeing that it is imported from Finland I guess it's wide known in your country, no? Yes it has been known in this country like forever, as long as I can remember. Quite misleading name "No salt" since it is a salt as well if there is potassiumchloride or other chloride for that purpose.